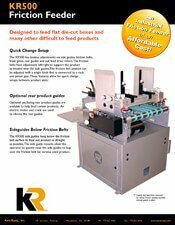 The KR500 is a heavy duty Friction Feeder that is designed to feed flat die-cut boxes and many other difficult irregular products up to widths of 19.25” and speeds of 1000 fpm. The KR500 has toolless adjustments on side guides, friction belts, front gates, rear guides and out feed drive rollers. The friction belts have adjustment left/right to support the product as needed near the side guides. 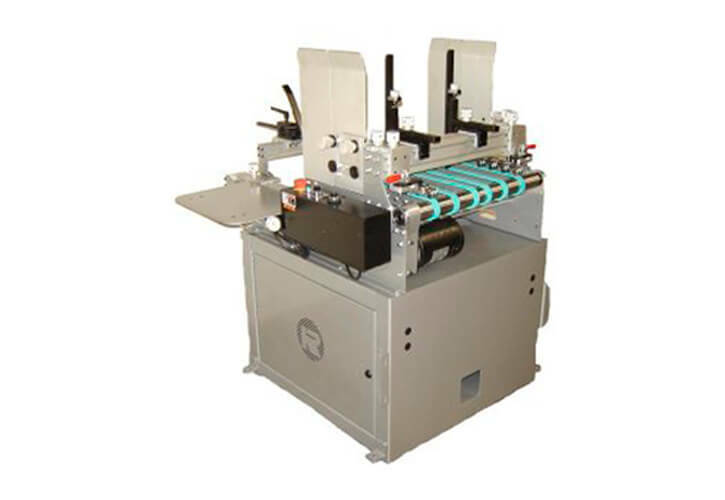 The friction belt position can be adjusted with a single knob that is connected to a rack and pinion gear. These features allow for quick change setups between product sizes.